Two premium Oricom products in one Value Pack. 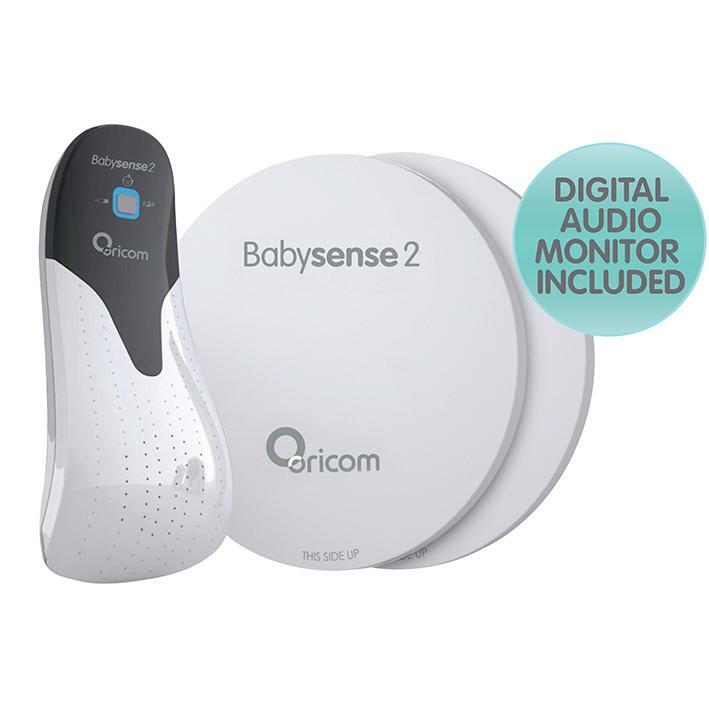 The Oricom Babysense2 and Secure 705 Digital Baby Monitor because you can’t watch over your baby around the clock, sleep with greater peace of mind while Babysense2 continually monitors the breathing movement rate of your sleeping baby. 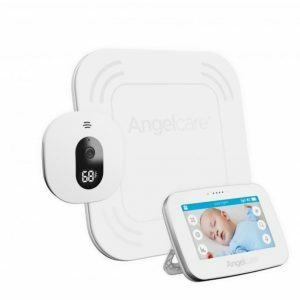 Babysense2 will activate an audible alarm if your baby’s breathing movement slows to a rate of less than 10 breaths per minute, or cannot be detected for more than 20 seconds. 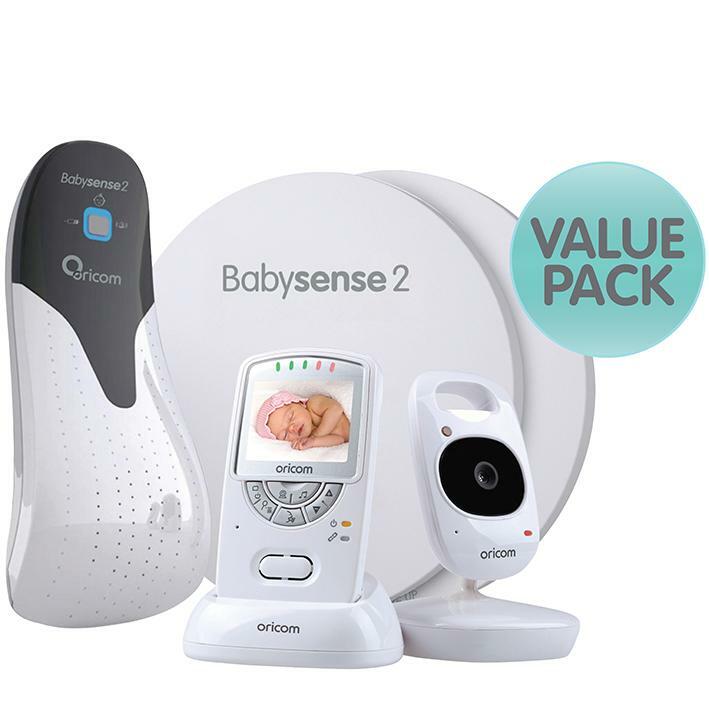 The Babysene2 Value Pack combines the peace of mind of the Babysense2 Infant Breathing Movement Monitor with the quality video monitoring of the Secure850. 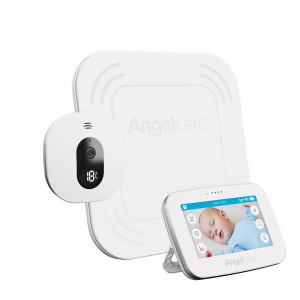 Babysense2 is intended for use as an Infant Apnoea Alarm. Babysense2 continually monitors the breathing movement rate of your baby. 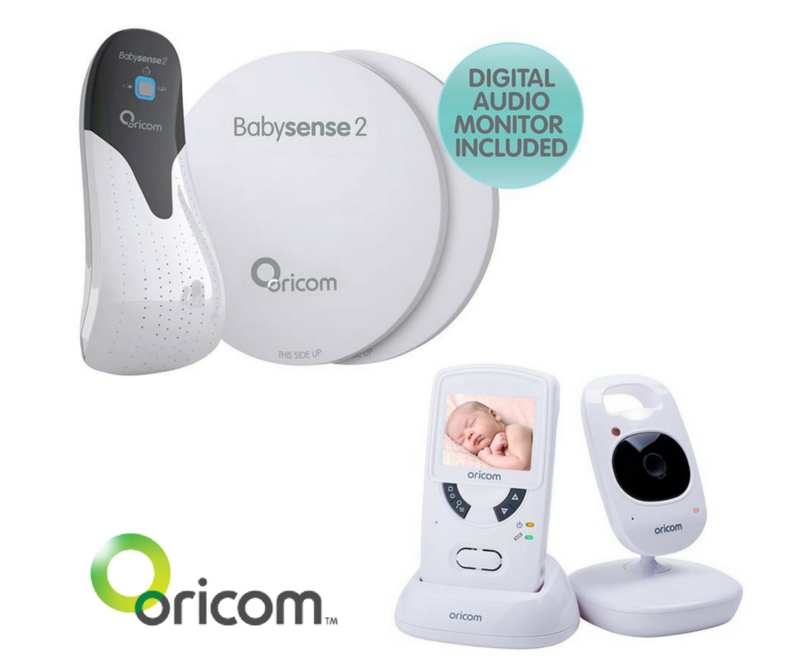 This Oricom Babysense2 and Secure 705 Digital Baby Monitor Value Pack combines the peace of mind of the Babysense2 Infant Breathing Movement Monitor with the quality video monitoring of the Secure705. 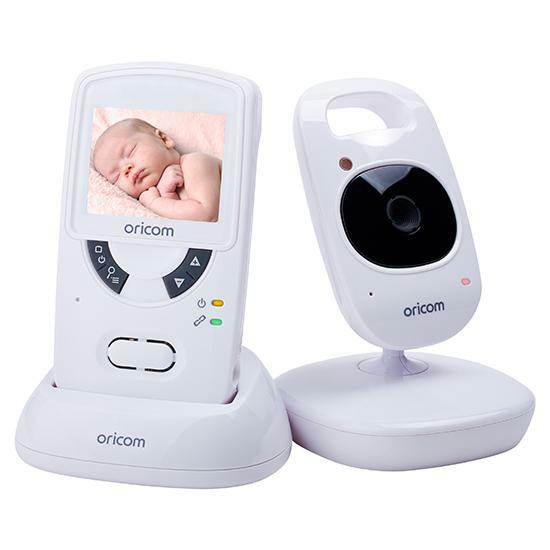 The Oricom SC705 features a 2.4″ Colour LCD display, infrared night vision, digital volume control. With the convenience of a rechargable lithium battery (in the parent unit) and wall mountable camera. A soft glow from the night provides reassurance for your baby. 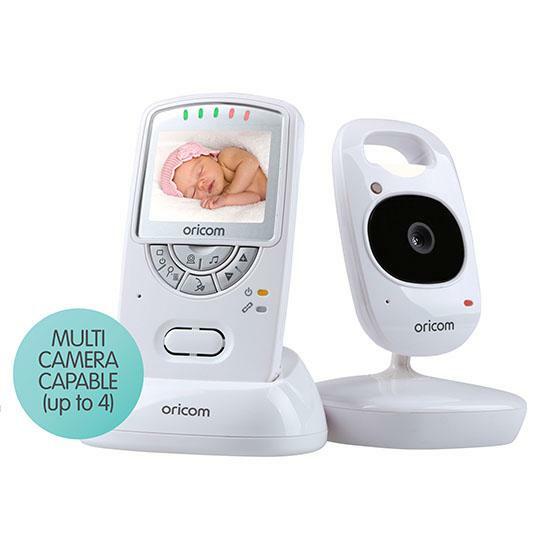 Large clear display allows you to keep an eye on your baby anywhere around the home. This parent unit provides you with mobility and the hands-free convenience that will allow you to go about your everyday work and still be able listen to your baby.